Creating an Eclectic styled bathroom means that you can go crazy with design! Pair up a freestanding bathtub with an antique set of mirrors on the walls. re you one of those people that just cannot decide on a certain style? 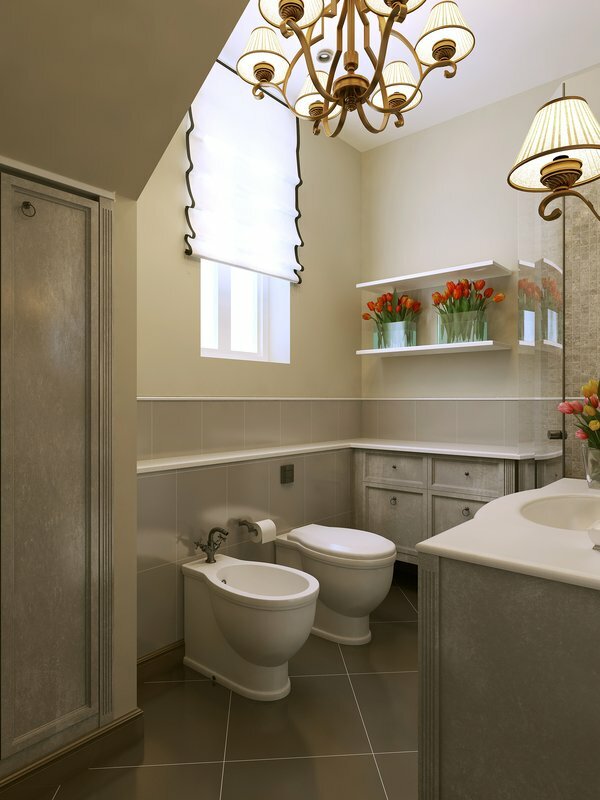 Then deciding what kind of design and décor is right for your bathroom can be a difficult task! Perhaps what you should be doing is going with all the styles you like, all mixed into one unique style? By going with an eclectically styled bathroom you’ll get to inject a little bit more (Ok, a whole lot more) personality and color into your bathroom. Plus, you’ll be able to mix things up a lot more than with just one style. There really are no specific or hard-set rules when it comes to eclectic style. The whole point of eclectic style is to break the rules and push the boundaries. You can look at a thousand different traditional bathrooms and never really get a sense of the kind of person that lives in that space. However, look at just 10 eclectic bathrooms and you will immediately be able to recognize that they belong to 10 very unique personalities. This is the only important rule to remember when designing your eclectic bathroom. When you’re planning your wedding day, someone is bound to remind you that you need ‘Something old and something new’ and the same applies to design an eclectic bathroom. This can be fun, as you really can mix up all the eras that you love. Antiques sitting next to modern pieces; recycled or reused pieces are also perfect for an eclectic bathroom. Choose pieces that speak to your style and personality, whether it’s an old brass faucet set or a mirror that’s been framed with colorful buttons, whatever appeals to you. The definition of an eclectic style is mixing up of a variety of styles. If you love bright colors, but also have a soft spot for antique bathtubs, then why not opt for a claw foot tub, and pair a colorful stool or bench next to it. Use a rug on the floor instead of a bathmat, install a mirror that has lights along the edges. You really can mix up the styles, color, tiles, and fixtures, as long as you’re achieving a deep-rooted personality out of all the combinations you’re using. ‘Clean lines’ is definitely not a phrase you’ll hear when someone is describing their eclectic bathroom to you. Instead, you’ll find curvy lines, right alongside straight lines! Square pieces share their limelight with rounded, circular or triangular pieces. The same applies to the textures you use, for every smooth surface you touch you’ll see or feel another bumpy surface. If there’s a matte bathtub, there’ll be a shiny and glossy washbasin. This mixture of texture and lines keeps the eclectic feel in the bathroom alive and very much wild – which is what you’re going for! You’ll notice that an eclectic bathroom that was designed 10 years ago, still looks good today. This is because the era’s textures and lines have been mixed up in a way that makes them work. We would recommend starting with a classic and simple base color, like all white, or all beige. After that – that’s when you get to go a little crazier with accessories. Having a bathroom with eclectic style allows you to change things up as you please, and at a very low cost too! If you don’t like the cowboy hat you have hanging on the wall anymore, take it off and replace it with something else. A great starting point for wild and crazy accessories is to look at things that wouldn’t normally be in a bathroom. Go on Pinterest and Pin!! This is a very helpful way to get ideas for accessories and décor pieces that are out of the ordinary. As soon as you have a big reaction to a piece you see, use that as a base point. Most eclectic spaces will start off with items that you already own. This can be anything, from a set of purple leopard print chars to a set of antique suitcases. 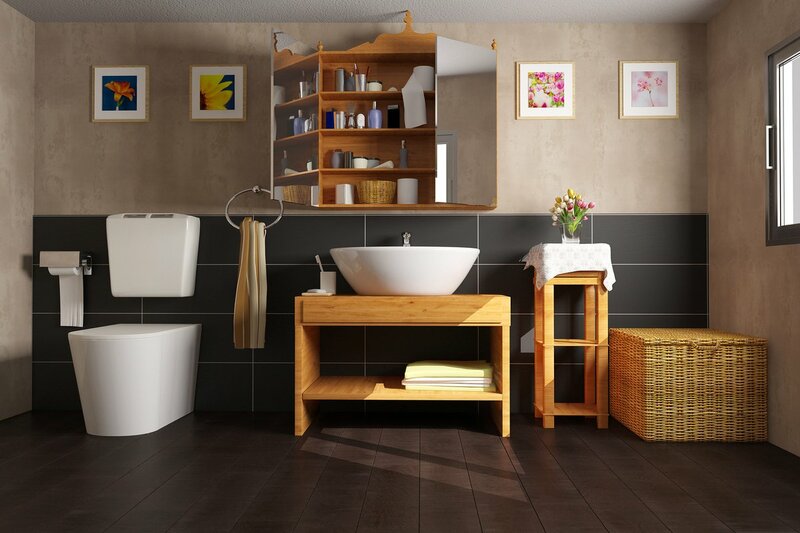 If you have possessions of your own, which are gathering dust, but you can’t seem to throw them out as they have sentimental value – bring them into the bathroom! In the end, those are the pieces in your bathroom that will be the focal point on which you build all the other decor and accessories around. 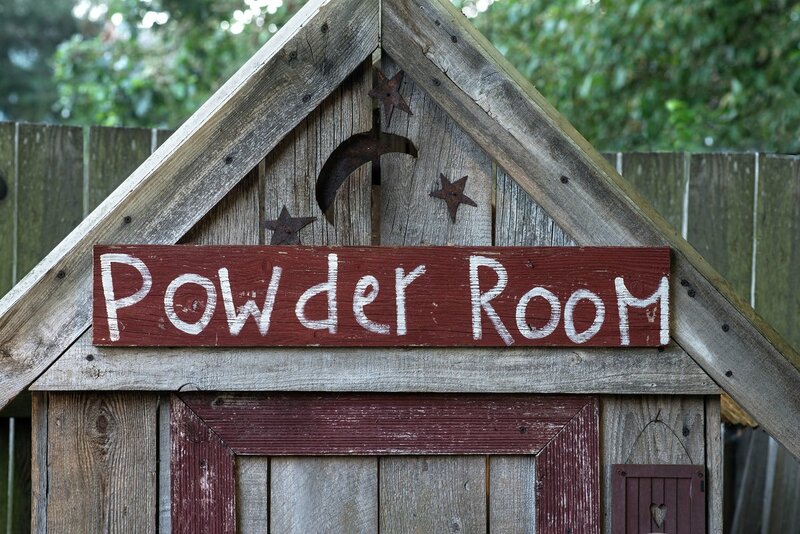 The one most important rule about creating an eclectic space is there are no set rules! As long as you inject your unique personality into the entire design process, you’ll come up with a bathroom you love! 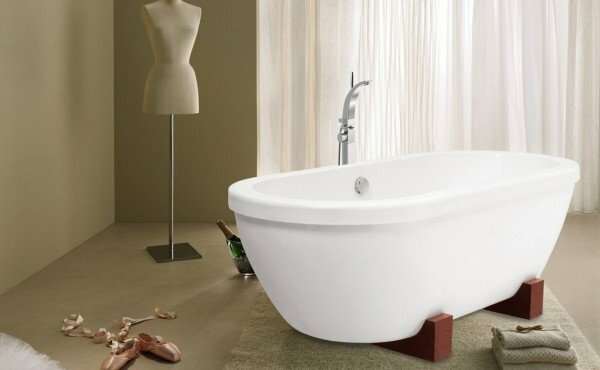 Gorgeously Unique Tub Materials for Bath Time Luxury!